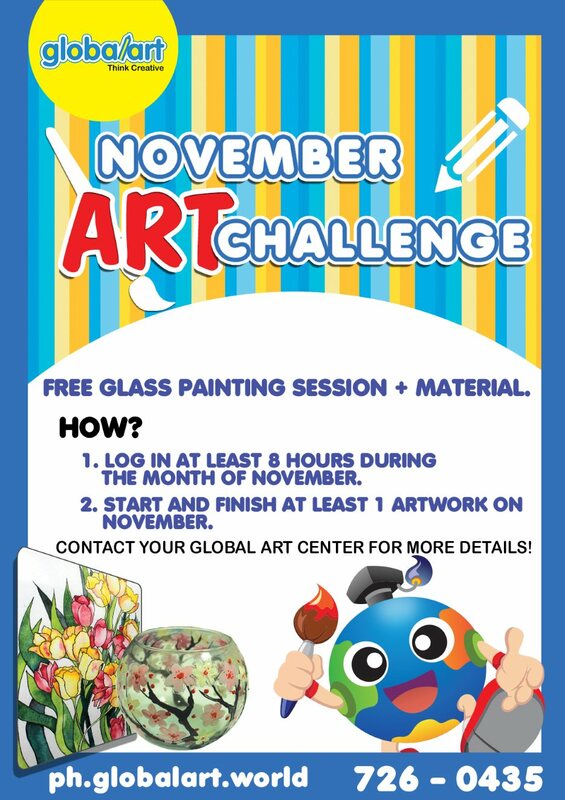 Do not miss out our fun November Art Challenge! Get a FREE Glass Painting Session + Material! 1. Log in at least 8 hours during the month of November. 2. Start and finish at least 1 artwork on November. For more details, please contact your Global Art centre today!